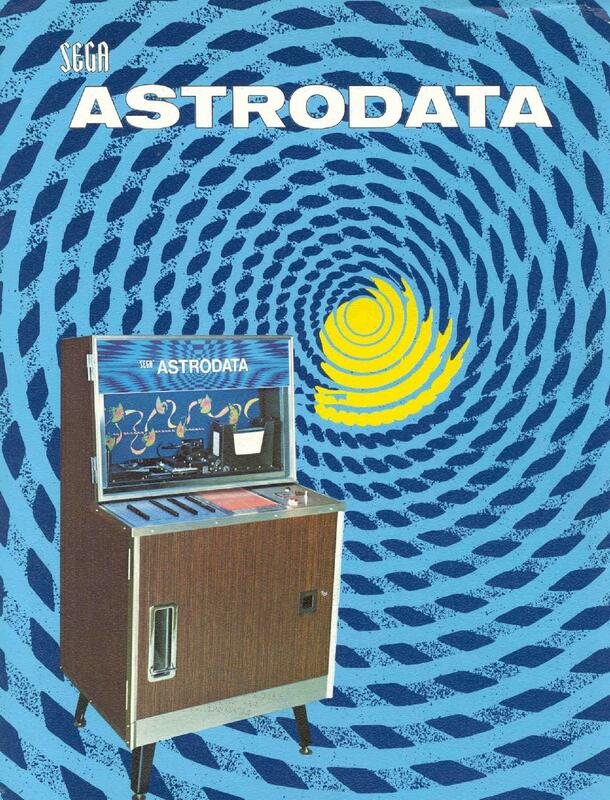 Description: Astrodata, Sega, 1971, fortune teller. 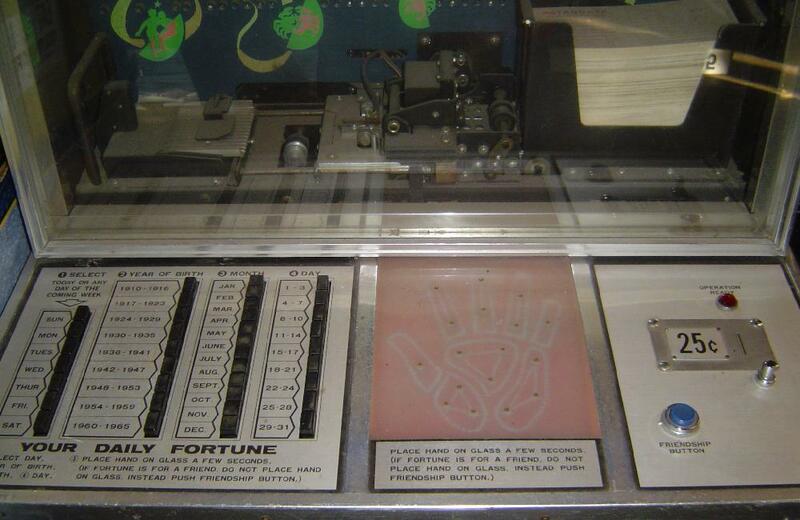 Machine is really a custom printer that takes blank fortune cards and prints responses on the card from a large drum. 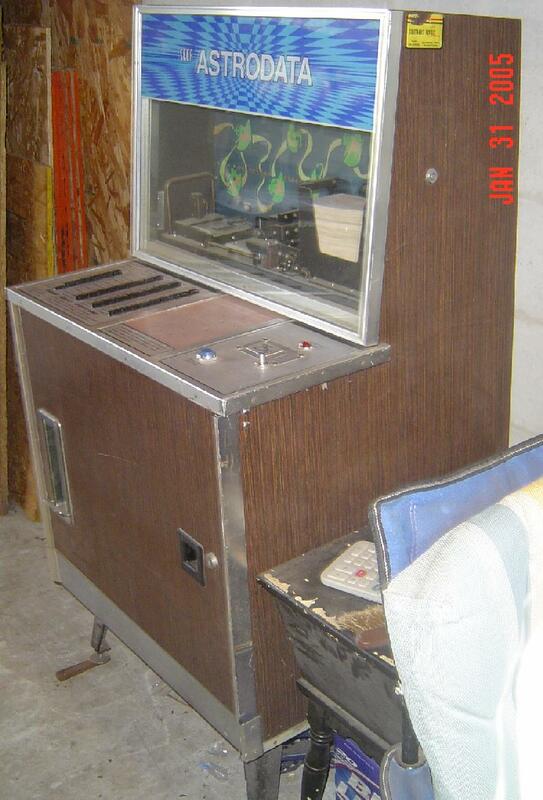 Sega Astrodata i s played by selecting the day you wish your fortune for, and next pushing the buttons for your year, month, day of birth. This will program the machine. 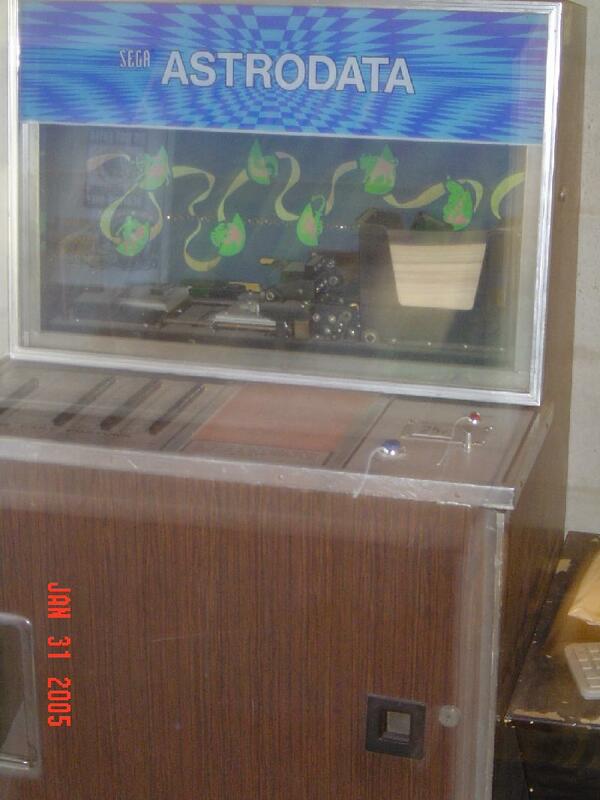 Then place your hand over the light-up palm on the console. 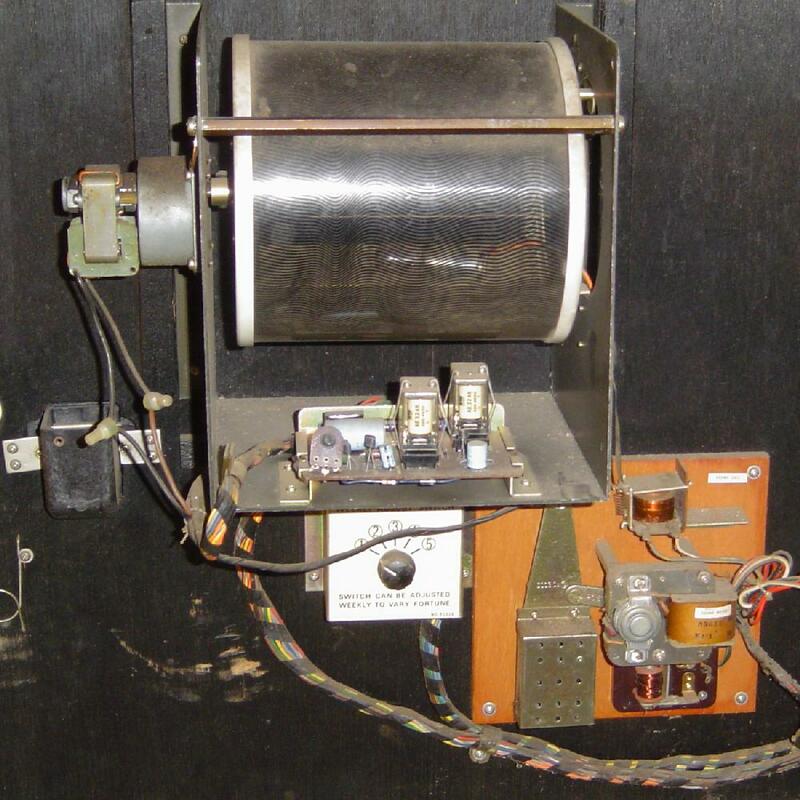 This will start the operation of the card punch, which is visible to the player. After the card is punched it is delivered to the player, being carried over from the puncher and dropped down a chute to the card tray. 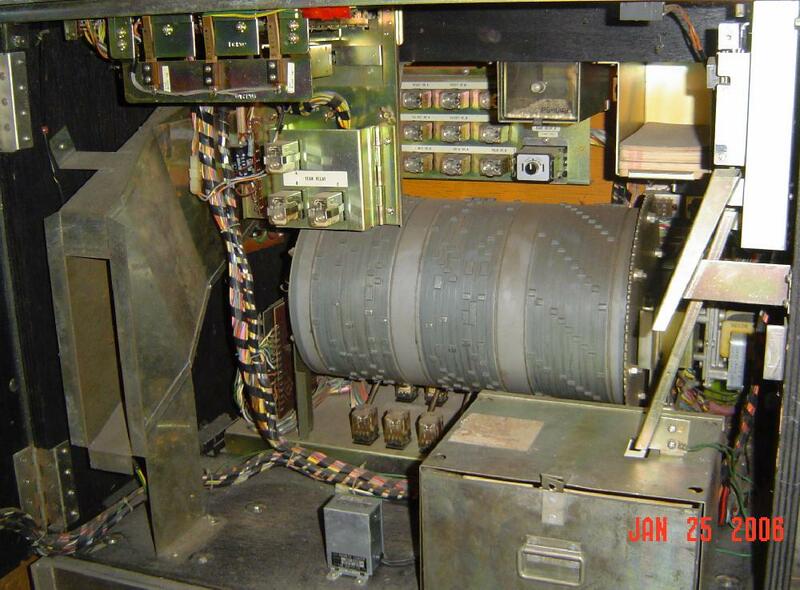 If the complete selection of buttons and placing the hand is not done in 100 seconds (operator adustable from 20 to 100), a blank card is dispensed. 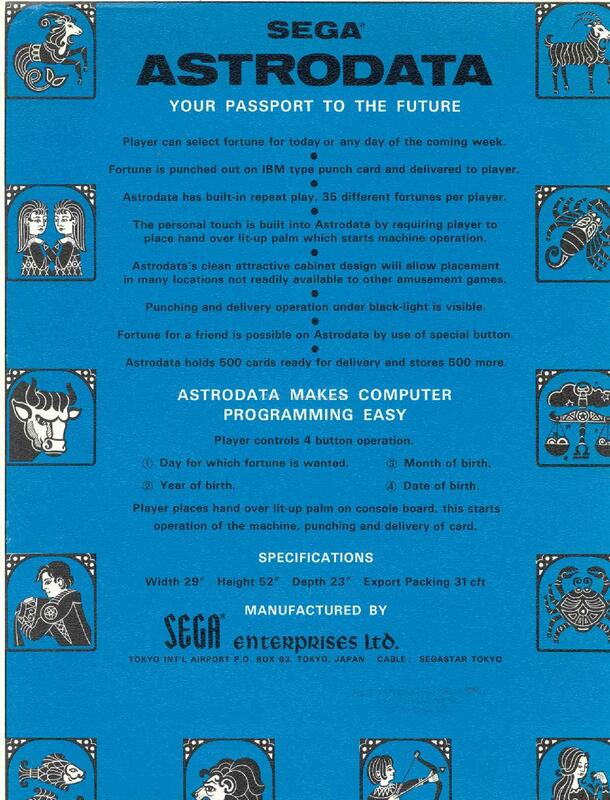 Astrodata has a 'friendship button' which allows the player to get a card for a friend without placing their hand on the light-up palm. In this case the health section of the card wil not be punched.